You didn’t think I’d let October go by without another pumpkin decorating post, did you? Last week I shared our terrazzo tile painted pumpkins for all of you interior design devotees out there. Today’s idea is a little simpler, but has an extra special personalized touch. I came up with this pumpkin decorating idea because I wanted a way to incorporate several gourds into one design. I also wanted something that would feel personal and represent my family. One other thing I love about these personalized pumpkins is that they don’t necessarily scream “Halloween,” so you can leave them out all season long. They look perfect on your porch if you use bigger pumpkins, or you can even adorn a mantle or bookshelf with pint-sized pumpkins, like I did. 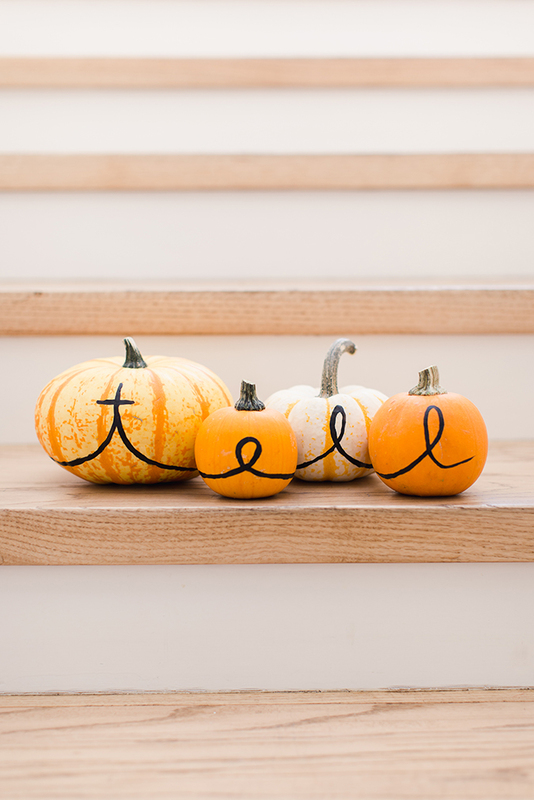 Place your pumpkins in a staggered line, so that each one is overlapping and you will have one continuous line of text. 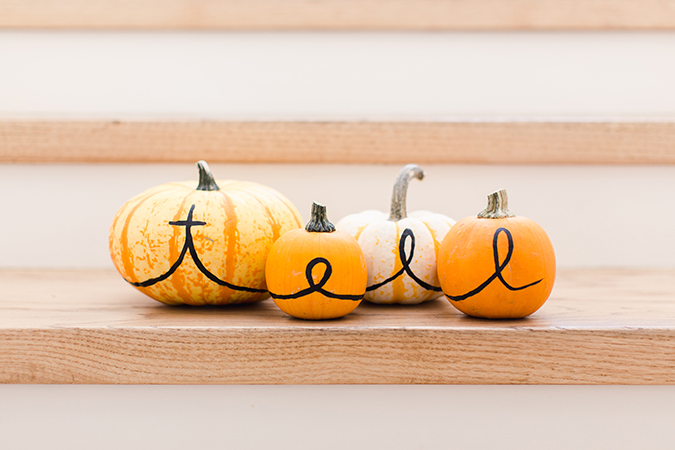 Paint your last name (or any other saying) across your line of pumpkins. Get creative with the font if you have some calligraphy skills, or stick with a simple cursive script like I did. Are you going to personalize your pumpkins like I did? Let me know if you give this a try, or share other ideas below!